SMSC is threaded throughout everything that we aim to promote at Hodge Hill. 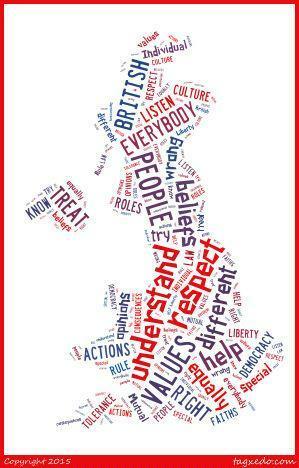 Our goal is to prepare pupils for life as a responsible citizen within an ever-changing multi-cultural society. Spiritual: Collective worship provides opportunities for personal reflection. A broad and balanced curriculum provides a sense of enjoyment and engagement with pupils’ learning as well as an opportunity to reflect upon their experiences. Moral: At Hodge Hill, our well established Learner Code encourages pupils to respect one another; they understand that attitudes to learning can have positive and negative consequences upon themselves and those around them. Social: Pupils are willing to participate in a range of social settings. Learning Mentors provide nurture groups to assist the school in maintaining a respectful environment wherein all are treated fairly. Cultural: Pupils are learning to talk about their learning. The curriculum provides opportunities to participate in and respond positively to artistic, musical, sporting and cultural opportunities. School councillors are elected through a voting system. Year 6 pupils learn about British democratic principles. The government set out its definition of British values in the 2011 Prevent Strategy and these values were reiterated by the Prime Minister in 2014. At Hodge Hill Primary School, these values are also integral to our vision and values. As well as actively promoting British values, the opposite also applies: we would actively challenge pupils, staff or parents expressing opinions contrary to fundamental British values, including ‘extremist’ views. Parent surveys/questionnaires are conducted at parents’ evening and at the end of the year. Parents are encouraged to identify what the school is doing well in and how we can improve further. We value and take on board all suggestions and aim to address them. Our School Council will represent the views of all our pupils. It gives children the opportunity to make their voices heard and feel part of the whole school community. We use various methods to capture pupil voice - our children's views matter to us. Class Rules. The rules are displayed in the classroom and are referred to continuously to ensure that all pupils are able to learn in a happy, safe, secure environment. Visits from authorities such as the Police and Fire Service who reinforce this message. Subjects like PSHE and PE where there is respect and appreciation for different rules. As well as assemblies led by teaching staff who focus on stories and celebrations from a variety of faiths and cultures, different year groups plan and deliver year group assemblies that celebrate the different festivals celebrated by pupils at Hodge Hill. Children visit places of worship that are important different faiths.